All MAXStick products meet Title 21 of the U.S. Food and Drug Administration as well as EU Legislation for Food Contact Materials, Regulation (EC) 1935/2004 requirements mandated for materials under food and human consumption. 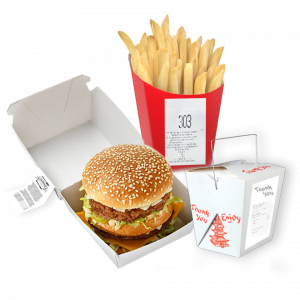 MAXStick provides a fast and efficient method for QSR’s and Fast Casual restaurants looking to improve order accuracy, reduce errors and increase customer satisfaction. 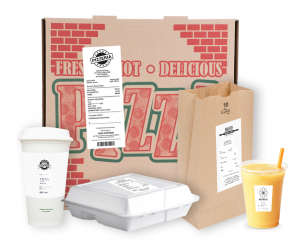 Whether its labeling made-to-order food items and beverages in the kitchen, or bag tagging to guarantee the customer gets their complete order, MAXStick offers a cost-effective labeling solution that is sure to save you time and money. 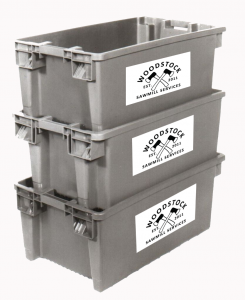 Optimize every aspect of your warehouse and increase efficiency with MAXStick Liner-Free labels. MAXStick is perfect for shelf/rack labeling allowing for easy identification of products in the warehouse. 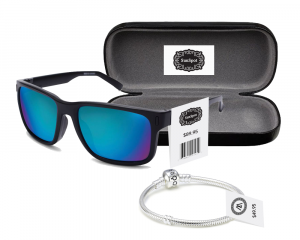 Label Pick and Pack items along the way with barcodes that can easily be scanned, guaranteeing your customer gets the right items in the right amount of time. 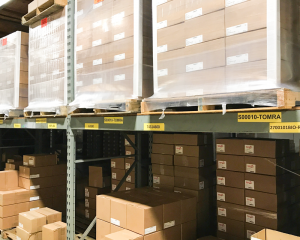 From the warehouse to the stockroom and right to the sales floor, MAXStick helps retailers track inventory, provide easy-to-read shelf labels and an overall better shopping experience for customers. 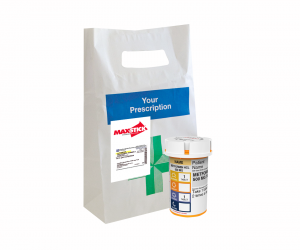 Health care in all its forms requires the accuracy and reliability that MAXStick provides. Simply apply and remove MAXStick as needed to trays, charts, test tubes and diagnostic reports. MAXStick makes it easy to track dietary restrictions and nutrition information with one label. 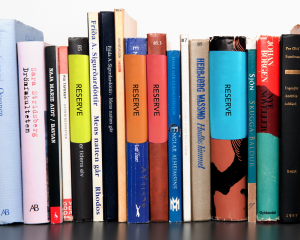 Make your library shelf stand out with MAXStick! MAXStick can easily be applied to the outside of books, making holds and transfer requests visible and accessible. Available in seven vibrant colors, MAXStick provides innovative and creative solutions for libraries looking for easy to use, daily color identification/reservation systems. These easy-to-peel identification labels are an essential solution for businesses and warehouses looking for identification storage labels. MAXStick is repositionable, allowing for easy removal without leaving behind any unwanted adhesive or residue.